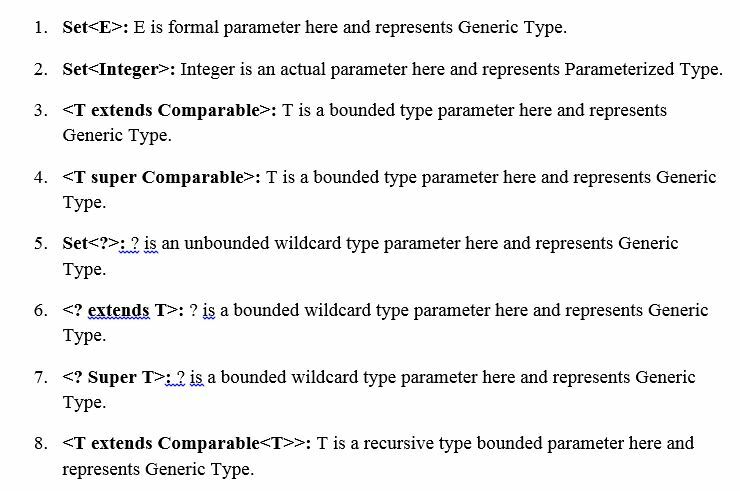 Generics terms and naming conventions makes the generics code easy to understand. 1. T : It represents type. 2. E : It represents element. 3. K – It represents keys. 4. V – It represents values. 5. N – It represents numbers.